For its Spring/Summer 2019 season, Prada has invited a trio of seminal female architects to create new designs using the brand’s iconic nylon fabric. 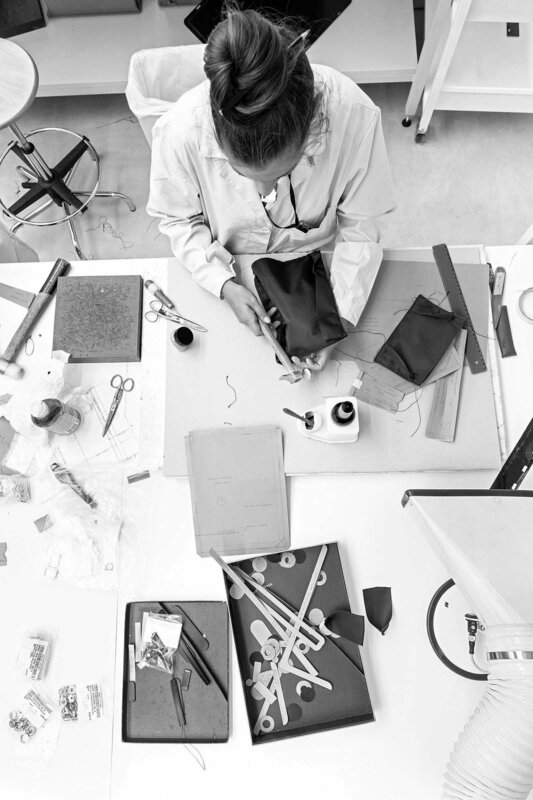 The storied Italian fashion house is renowned for experimental collaborations across the creative industries, having collaborated with leading creatives such as industrial designer Konstantin Grcic, filmmaker Wes Anderson and artist Christophe Chemin. Prada’s long history of partnerships outside of the fashion sphere has seen the brand restore Rong Zhai villa in Shanghai and establish Milan’s Fondazione Prada institution and art space to showcase contemporary art. Now, the brand turns to pioneering Japanese architect Kazuyo Sejima – along with Cini Boeri Elizabeth Diller – for its latest collaboration. For several decades Sejima has been at the forefront of her field. She founded SANAA (Sejima and Nishizawa and Associates) in 1995, an architecture and design firm based in Tokyo with fellow architect Ryue Nishizawa. In 2010 she became the first woman ever appointed as director of the architecture sector of the Venice Biennale, and together with Ryue Nishizawa she was awarded the Pritzker Prize, becoming the second woman ever to receive this accolade. Angles and sinuous curves feature throughout Sejima’s oeuvre, as do materials like glass, metal, marble and concrete, and her structures are an interplay with the site’s surroundings and the social use of spaces. This second iteration of Prada Invites sees Sejima turning her hand to bag design. The architect has used Prada’s nylon to create two multi-functional handbags that can be worn across the body or over the shoulder. Both the long daln and curved yooo bags are highly functional and versatile while imbuing the whimsical, playful and quirky nature that Prada is known for. The designs also reflect Sejima’s bulbous architecture style, seen most strikingly in the cloud shaped port terminal building on Naoshima Island or the temporary installation of transparent acrylic bubbles at Calligraphy Square in Sharjah in 2013. ‘There is a huge difference between approaching the architecture of a building and designing a fashion item when it comes to production period and working speed, but the process of making a shape from an idea is the same,’ Sejima explains. She was inspired to create something wearable that allowed a degree of personalisation. ‘A bag is something that is always close to your body. At times you end up hugging it, and other time you put it over your shoulder: much like a pet. And because it’s your own “pet”, it was important to be able to personalise the bag – shape, accessories, the way you hold it, the way you use it, and where you take it’.